The new garage has 12 lifts to work with. B.C. 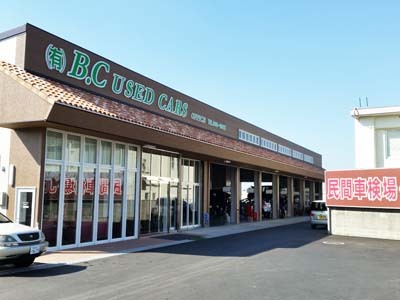 Used Cars has been in the business since 1968 and, as a proof of their success, many Y-plate cars on Okinawa’s roads carry a “B.C” sticker on the back. Their first shop was a small lot that used to be on the site of Korinza shopping mall. They then moved next to Kadena Gate 2, which is their head office now. They also have a shop on Hwy 58 in Chatan. 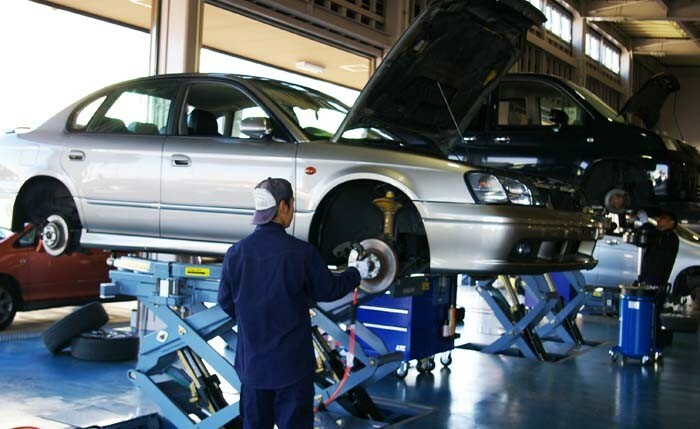 Just recently they opened a large new garage in Chibana, close to Kadena Gate 3. B.C. 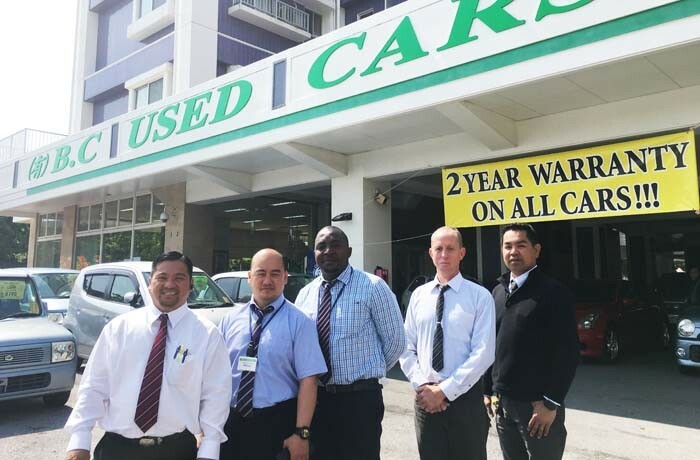 Used Cars’ sales staff (from left) Jojo, Eddielyn, Osa, Dave and Reggie. The B.C. USED CARS has always a large selection of cars of any type in stock, including mini cars, often called “K-cars” that are distinguished by their yellow number plates. These days many people want to ride “K-cars” because their annual road tax is low and they get a good mileage. B.C.’s new service garage in Chibana. Agena explains that as U.S. Military members stay on the island at a minimum of two years, it’s important to be able to provide a good after service. “That only makes business sense, as we want them to come back when they need a new vehicle, and even more important, we like them recommend us to others when they arrive on the island,” Agena says. Agena explains that once a customer selects his or her favorite car, it takes two days to prepare and register the vehicle. They also provide AIU and ACE insurance services. “In addition to registration and insurance, we offer many payment options. In addition to cash, we have interest-free loans for U.S. Military customers. And all transactions are in U.S. dollars,” Agena emphasizes. The New B.C Used Cars garage is a large facility with a spacious office and customer lounge to relax while the staff fixes the car. There are 12 lifts for the experienced mechanics to work. Currently, the garage is running a JCI inspection campaign with 50% off the labor cost, free oil change and free estimates. They also have free loaner cars depending on availability.